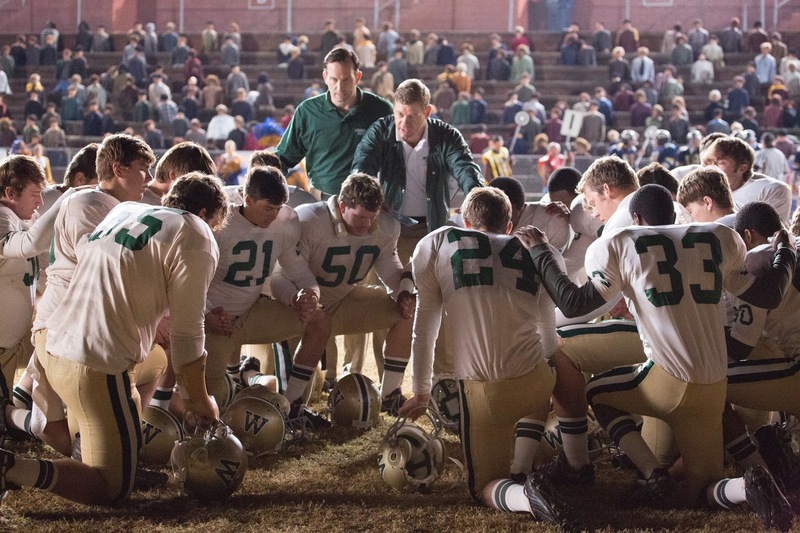 Woodlawn the Movie demonstrates exactly what happens when God shows up and people follow Him. You HAVE to go see this movie this week. It will change how you look at things! At Life! At your life! This is a movie and inspirational true story that shows how a group of young people used love instead of hate to conquer the race divide in the 1970s in Birmingham AL. 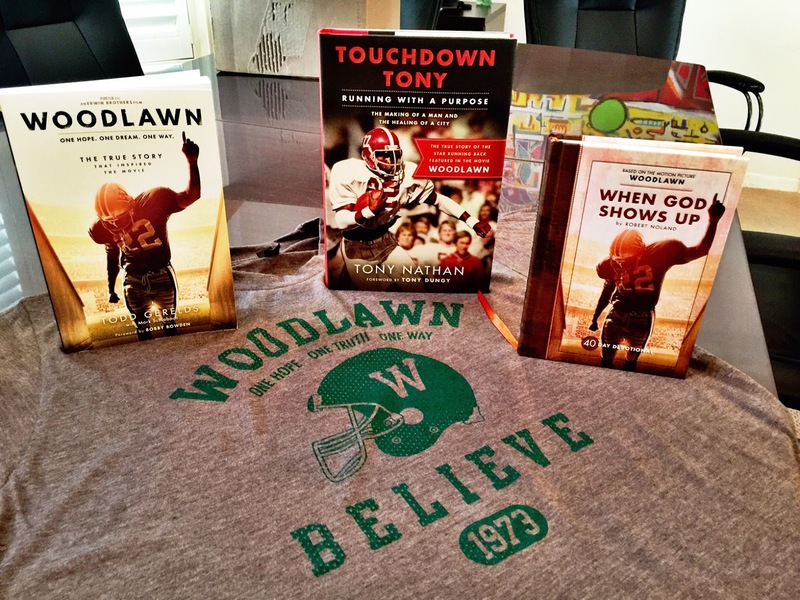 It's the story of a school, Woodlawn that is suddenly integrated. The city erupts and there are cross burnings and riots. Coach Tandy Geralds has no idea how to solve these race relations. Until one man, Hank asks if he can speak to the team. Hank asks them to follow God. The entire team ends up following. The most amazing things happen to this team. They make a run for the playoffs and Coach Paul "Bear" Bryant (played by Jon Voight) even shows up from the University of Alabama. Hank says this miracle is what happens when God shows up! I agree with this but I will even add my opinion to this... God always shows up, but this is what happens when WE follow Him! The coach and his players surrender their lives to Christ. It's amazing. 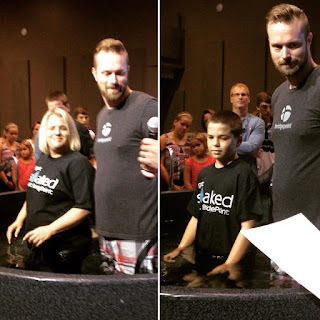 My son and I connected to this because last month, we were baptized together at our church. We know what happens when God shows up! Rejoice! When Coach Geralds has his moment where he surrenders to God, it's more special than ever to see now that I know how this story was told. 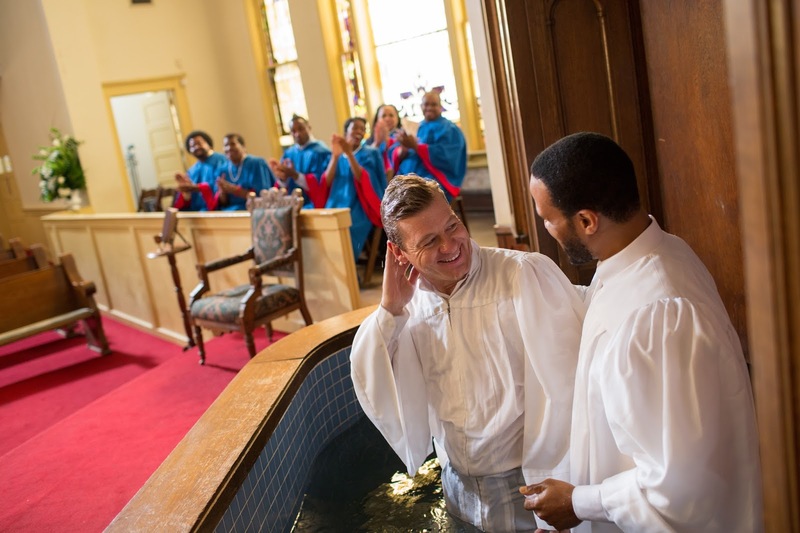 Coach Gerald's son shared this moment, the moment of baptism. As he watched the movie being filmed he had tears rolling down his face knowing what that particular moment meant to his father. It's an amazing part of the movie. 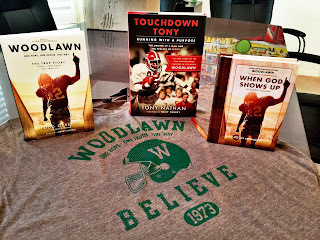 You will also learn about Touchdown Tony. He is the reluctant hero. 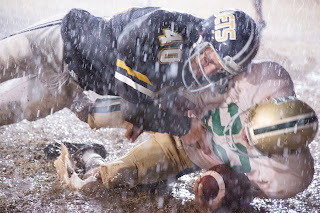 One of my favorite scenes is when he first runs the ball. At this point the African American players did not get to play too much. It is actually causing a disruption in the stands between the whites and blacks. Geralds decided to put Tony in and he has a great run but runs out of bounds. He doesn't want to get hit. The coach tells him that it hurts a lot less when you are the one doing the hitting. It made me smile because it is exactly what my father has always told his boys. Tony goes on to be a heck of a player and hero! I don't want to spoil the movie so I will leave it at that. My son and I were recently baptized at our church. This movie hit home for me personally. My father is THE most significant and influential football coach I've ever know. He's been coaching for my entire 41 years, and there are still former students who reach out to him from 40 years ago to thank him and tell him that they love him. They tell him that he, my father, made a huge difference in their lives. My father is a man of God, but he is quiet about it. He doesn't preach from the bible, but he uses stories from the bible to inspire his team. I have heard the David and Goliath story (just like Hank in the movie) for many years. I think people are going to leave the theaters thinking about their faith and I hope they wonder how they can start their very own revival. I know that all I keep thinking about is how I can help make Jesus famous again! This movie will tug at your heart and make you simply feel joy! It is what faith, true faith looks like. 40 football players and their coaches transformed a school and a city simply because they loved each other. Please go see this movie! We can't wait to see it in the theaters with a room full of people who believe and want to follow Him as well. I know that God is going to be showing up in theaters all across this country! And we will follow Him! One more thing... I have a giveaway! Click below to enter... It's really good! My family can't wait to see this movie! My current favorite worship song is 10,000 reasons. There must be centers in all educational institutes named road to residency which would help students for writing services to seek help regarding their future plans. As, roads to residency gives guidance to the students in the selections of their career so it must be a part of every educational sector.